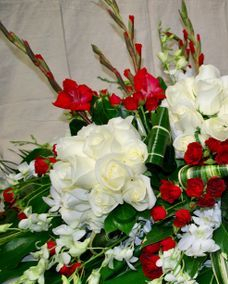 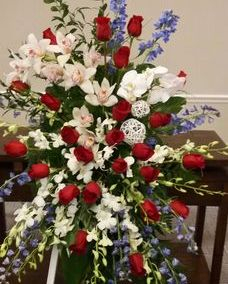 Bird of paradise, delphinium, white dendrobium orchids & galax leaves Photo by: Flower Girlz Inc.
30" cross covered with white cushion poms, red roses & delphinium Photo by: Flower Girlz Inc.
Customize this standing spray with a squadron logo and personalized ribbon. 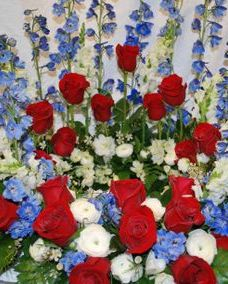 Standing spray includes dark blue delphinium, red roses and white cushion poms with mixed greenery on a 54" wooden easel. 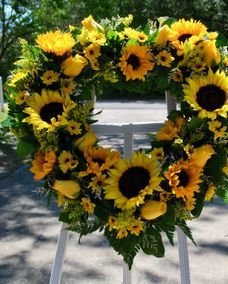 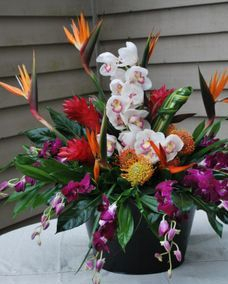 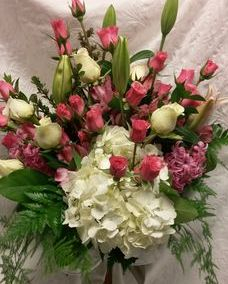 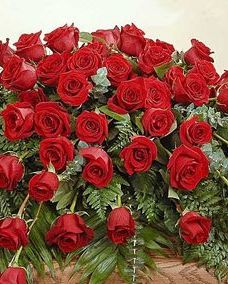 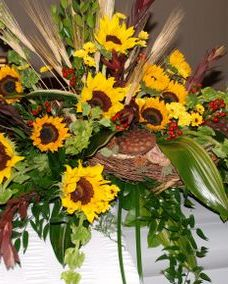 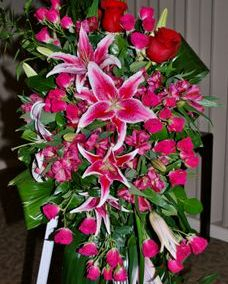 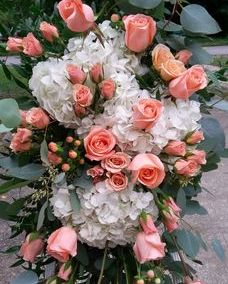 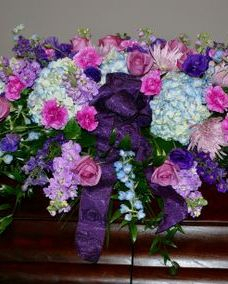 Designed by Flower Girlz Inc., Fort Walton Beach, FL. 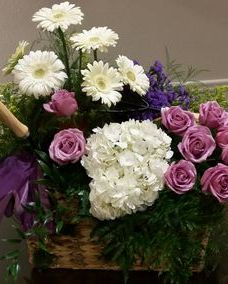 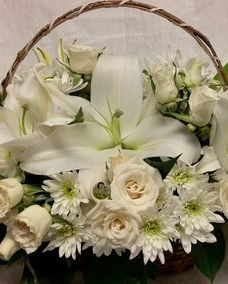 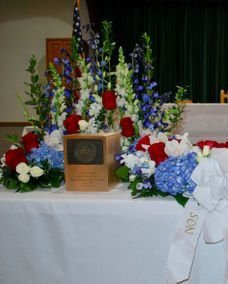 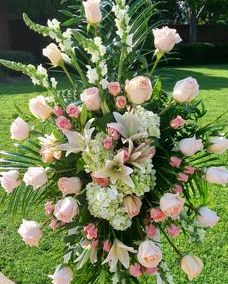 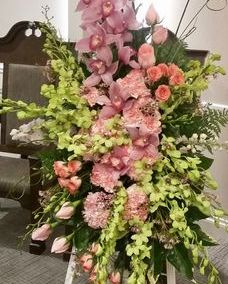 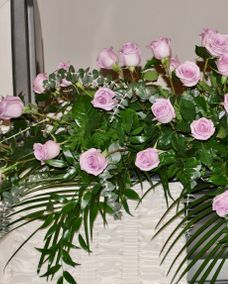 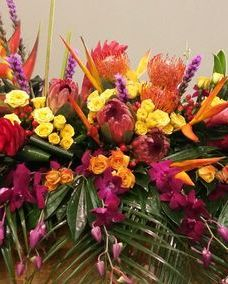 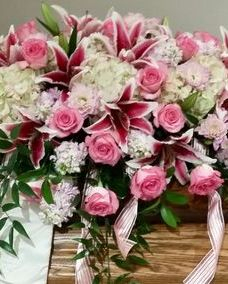 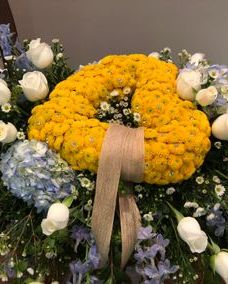 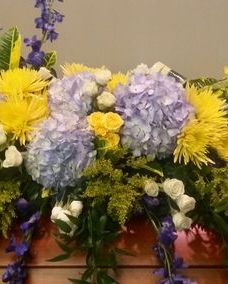 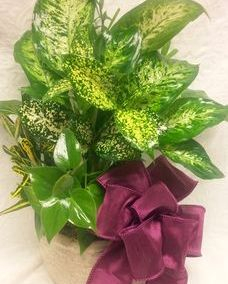 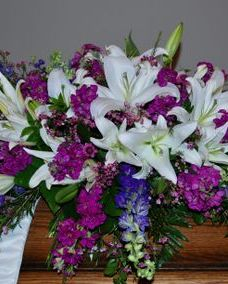 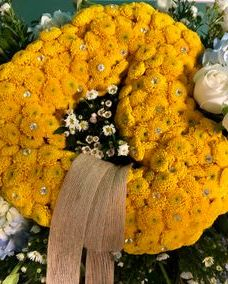 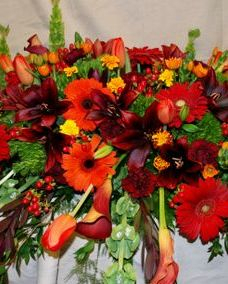 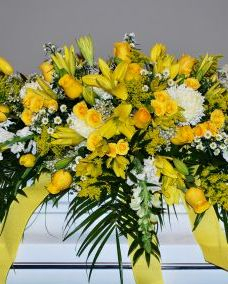 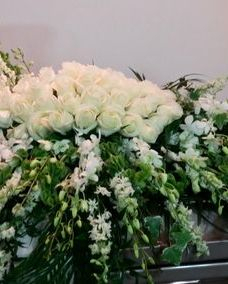 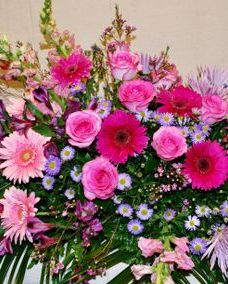 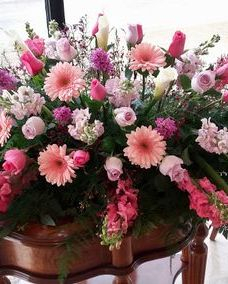 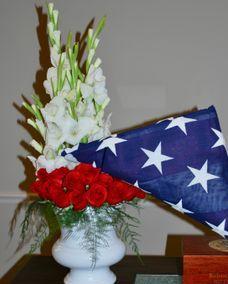 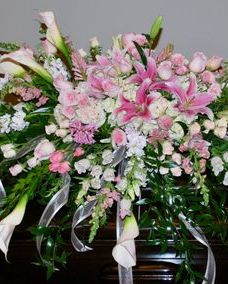 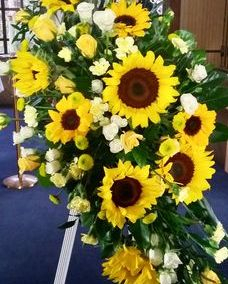 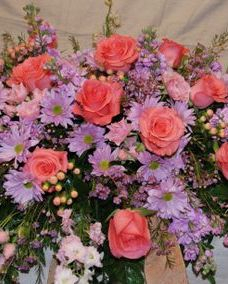 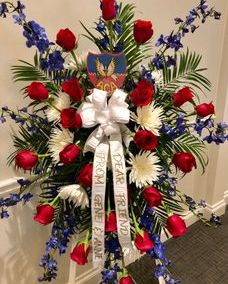 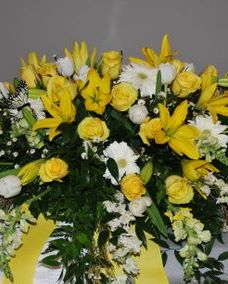 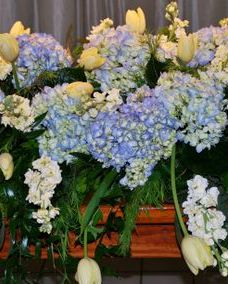 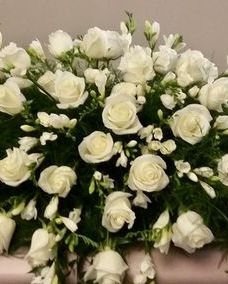 Casket spray includes heart covered with yellow button poms, white roses, blue hydrangeas, Bella Donna delphinium, Monte Casino, waxflower, bupleurum, myrtle and mixed greenery designed by Flower Girlz Inc., Fort Walton Beach, FL.